I had three compañeros with me for the trip out this time. 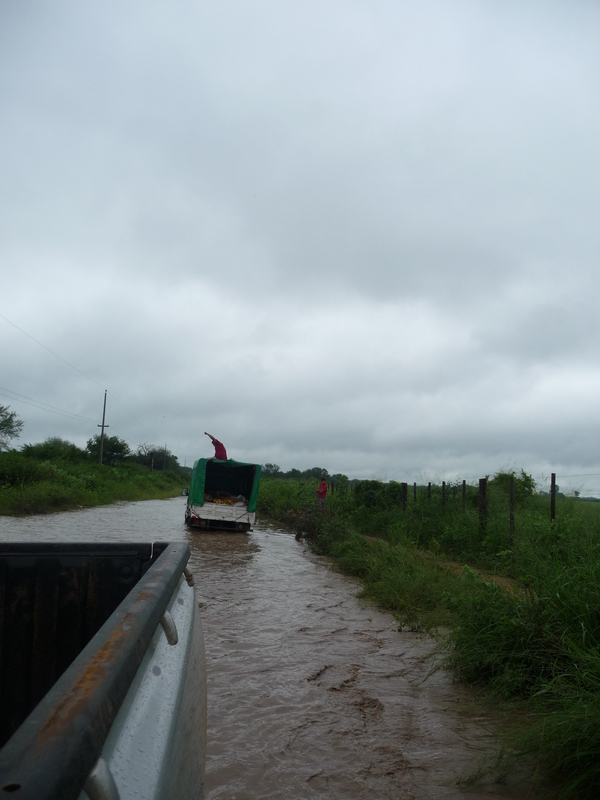 The quad was loaded onto the back of a 4×4 truck and we left Asunción around the mid-afternoon. 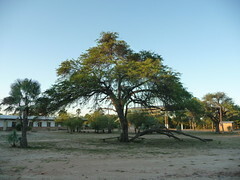 We had plans to stay at an estancia overnight and continue to my study communities the following day. But it rained. So we spent an extra day at the estancia before we could continue the journey. I took the quad out in the mud and practiced driving in ‘adverse conditions’. So. much. fun. 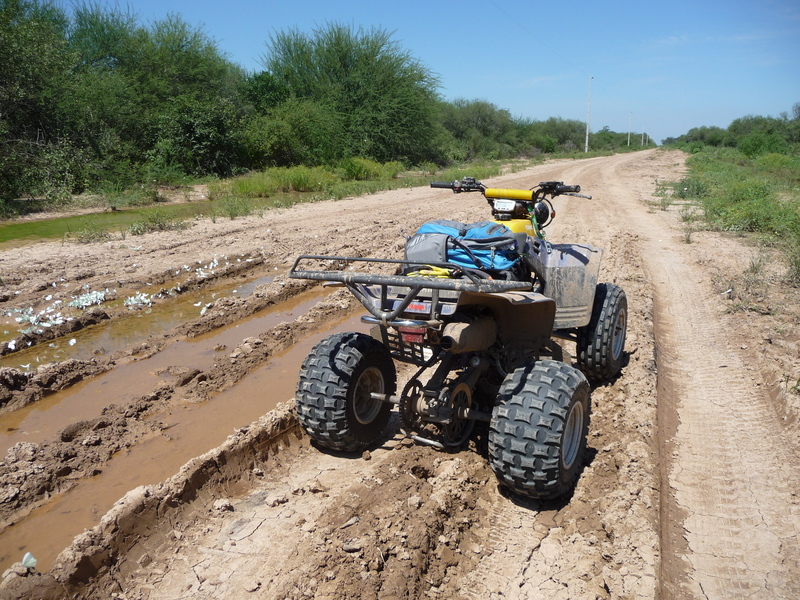 On my last run from the farmhouse to the estancia entrance I stalled the quad and couldn’t get it to start again. So I walked about half an hour from the front gate and was just in sight of the farmhouse before the compañeros came out to meet me in the truck. And then I felt silly because the quad started easily for the compañeros. There’s a trick to these things. I’m learning. 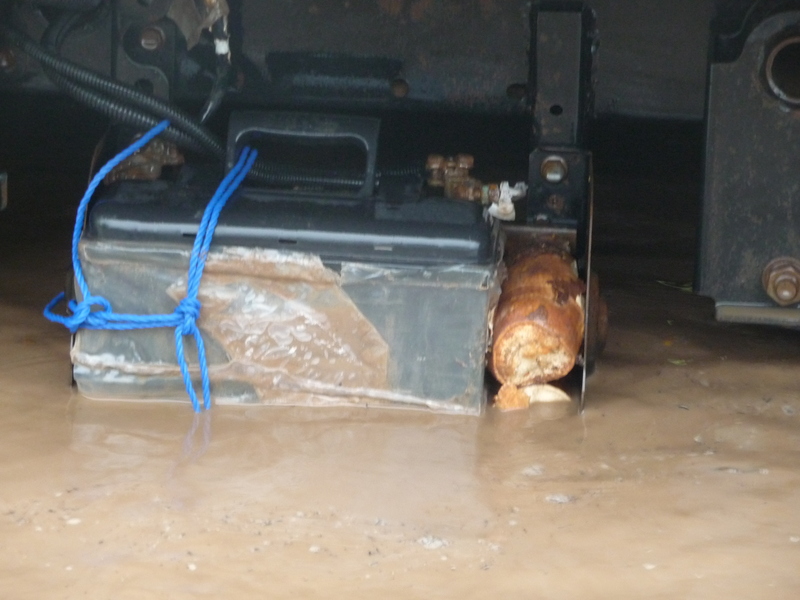 The truck’s battery was being held in place by mandioca!! When we left for the study communities early the next morning the roads were still a muddy mess, but the truck managed them really well. We came across a few vehicles stuck in the roads on our way. One of them was the bus I usually take out to the study communities! They couldn’t exit on their normal route and had tried heading north instead, only to get stuck in a different part of the Chaco. What a weird coincidence that we would cross paths there! The guy in charge of this route would give you the shirt off his back, and tried to give us what appeared to be a rack of goat ribs. We politely declined, having no place to put it. It looked like they had several other large cuts of meat with them and were going to do a big asado while stranded in the middle of the muddy road. The road into Integrationville was still a disaster in two places. The faint paths that sprang up around the road had become better worn. It was nice to have a truck that could drop me off right at the health post, instead of having to hike from where the bus would be obligated to stop, about 20 minutes, with all of my stuff. I said my goodbyes to the compañeros and went around and gave my hellos to people in town. The following day (Sunday) I made my first trip out to the isolated community in the quad. My first visit there since November! 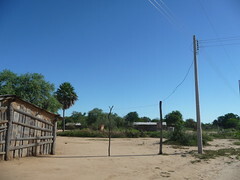 I brought the family photos I took during the census and went house to house delivering them with the community leader. The people in this community tend to take more of an interest in what exactly I’m doing in the community during this visit and how long I’ll be staying and then when will I be back again and where is my truck, so I spent several hours going house to house. I left in the mid-afternoon and it was a relatively uneventful return to Integrationville, except for the part where I got the quad stuck on a stretch of dried mud and had to lift the back wheels and push it out under my own power. I’m rather tiny, so it was exhausting. I spent Monday scanning health post records in Integrationville because it looked like it was going to rain heavy by midday. It never did rain. I left bright and early on Tuesday morning so I could figure out my field assistant situation and get the first interview out of the way. I had a premonition of trouble while I was driving out there, so I sang “I will survive” really loudly to myself, several times over, to calm my nerves. Things went really well. Until I tried to leave and the quad stopped working. 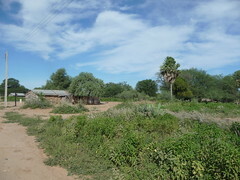 The quad was parked at the house of my newest field assistant, located close to the entrance of the community. A few men who were nearby came to the house to help push the quad while I tried to start the engine. No dice. I tried all the tricks I could think of, but the noises the quad was making were sounding worse and worse. There wasn’t enough daylight to make it back to Integrationville at this point, and I decided I would have to spend the night in Isolationville. This meant I had to walk all the way to the other end of the community (maybe 45 minutes) to get the key to the health post’s inner room from the health promoter, and then walk halfway back again to the health post. I had been worried about something like this happening, so I brought my hammock with attached mosquito netting, and some extra water with me. I set the hammock up over the bed, like I had during my previous visit, and crashed almost as soon as the last of the sun was gone. The next day I tried in vain to find someone who could repair motorcycles and take a look at the quad. One of the school teachers, who was an outsider, used to do motorcycle repairs on the side, but he hadn’t returned to the community this semester. The only other guy in town I could think of wasn’t at home when I called. Seems he was right. 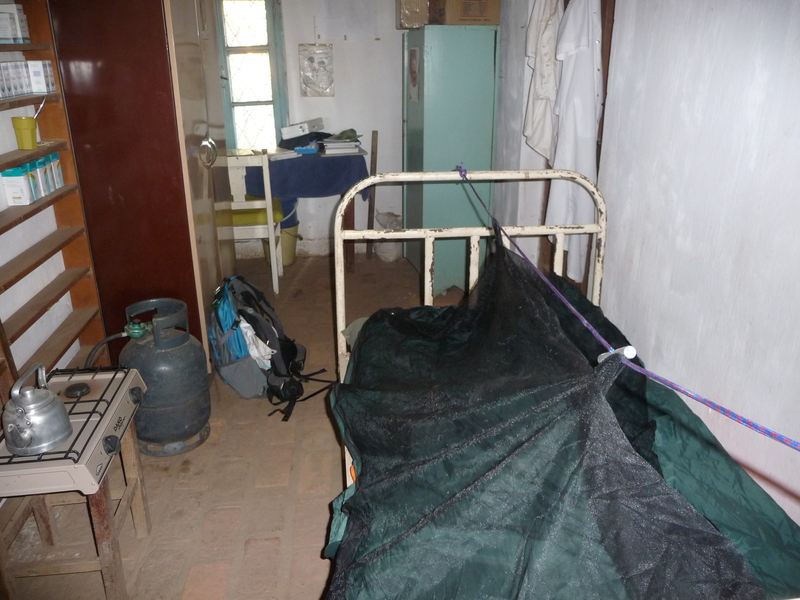 When I arrived back in Integrationville I couldn’t deny it anymore: fever, severe headache, full body aches and pains. It was dengue. I couldn’t get a whole lot done after that. I found a mechanic in Integrationville and made arrangements to have the quad brought back there from Isolationville. The mechanic thought the quad was just short on oil, but the compañeros say I just need to tweak the screw that controls the flow of the gas. We’ll see. The bus made it to Integrationville on Thursday evening, so I decided to take advantage and go to Asunción for the weekend at least and recuperate. We left at 3:30am and arrived in Asunción at 4:30pm. We busted a tire and got stuck in a few muddy places. Typical. Wow, hope you feel better! Dengue and broken-down trucks is certainly misadventure. But Gloria Gaynor should be sung loud and proud at all times. Well, it was loud. But my rendition is nothing to be proud of! 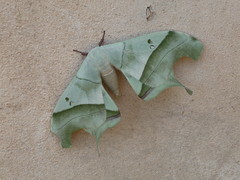 It probably scared off the tigres. Hahahaha!